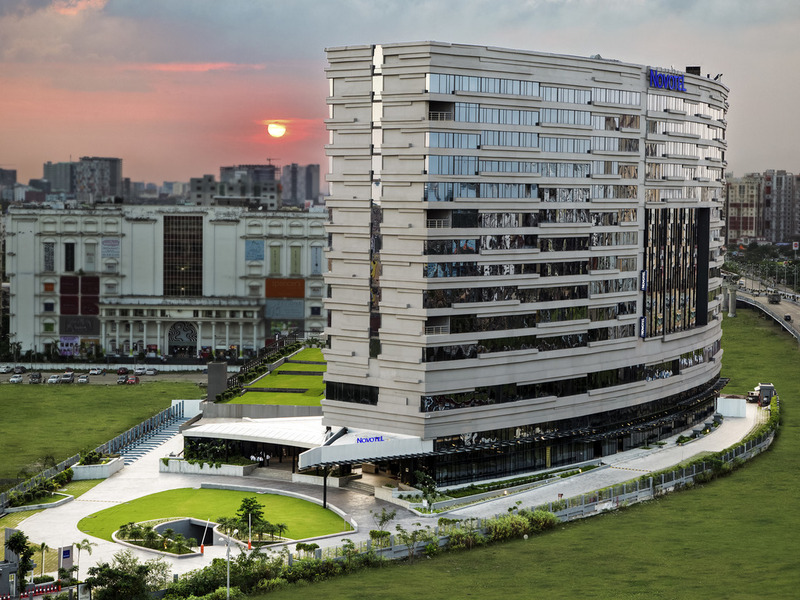 Located within 20 mins from Kolkata Airport and adjacent to the IT sector in New Town, Novotel Kolkata Hotel and Residences is Eastern India's largest 5-star hotel. The hotel has 340 WIFI enabled rooms, suites and serviced apartments and over 30,000 sq. ft. of banqueting space. Dining options include a Pan-Asian restaurant, an All Day Diner, a Deli, one bar, In Room Dining and a Kids Menu. First class facilities include a 24 hr gym, a spa, salon and the cascading outdoor pool and more. Kolkata is the principal commercial,cultural & educational city in Eastern India, the state capital of West Bengal with India's oldest operating port. It was the capital of British east india & was founded in 1690. It is the growing IT hub of India. Superior Room King Size Bed with WIFI. Superior Room Twin Size Bed with WIFI. Premier Room King Size Bed, Premier Lounge Access, 15% OFF on Food & Soft Drinks. Premier Room Twin Beds, Premier Lounge Access, 15% OFF on Food & Soft Drinks. Suite, Premier Lounge Access, Airport transfers, laundry, 15 Pct OFF on Food & Soft Beverage. Studio Apartment with Kitchenette, Premier Lounge Access, 15 Pct OFF on Food & Soft Beverage. 1 Bedroom Apartment with Kitchen, Premier Lounge Access, 15 Pct off on Food & Soft Beverage. 24h a day, enjoy a great experience. You are served freshly prepared meals, with a large choice of Asian and international specialities, a la minute cooking. Stylish designs bring European and Asian influences. A bistro-style delicatessen featuring a wide array of breads, cakes, pastries, tarts, chocolates, macaroons served with hot and cold beverages convenient for take-away or a quick sit down bite. The pool bar is set in an oasis of tranquility amidst lush green landscaping that is best enjoyed with custom-made cocktails and well-chosen menu. With a choice of signature beverages & sumptuous bites to go along with, the Lounge Bar next to the Lobby is an offering for relaxation for guests looking for a quick break or guests who wish to destress & enjoy in the ambience of a five star hotel. Det var övergripande väldigt bra service och schysst standard på hotellet. Det enda jag kan klaga på är att det var mycket myggor och jag fick en hel del myggbett under min vistelse.